Militants from radical groups Faylaq al-Rahman have cut their ties with the Tahrir al-Sham terrorist organization with the aim to leave Eastern Ghouta. It is also reported that several clashes occurred between militants of the two groups. The decision to split was taken after a number of demonstrations in the town of Kafr Batna. According to local sources, citizens of the town who have been suffering from the war every day demanded that the jihadists leave the region. 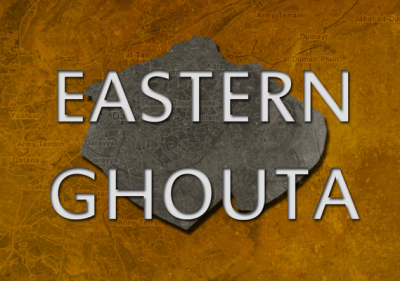 Many of them believe that the terrorists’ withdrawal will finally bring peace to Eastern Ghouta. To prove their readiness the radical jihadists in this regard have issued a joint statement from Eastern Ghouta as Faylaq al-Rahman Corps, Jaysh al-Islam, and Ahrar al-Sham. They all describe themselves as members of the Free Syrian Army (FSA) and emphasize a remarkable affirmation. 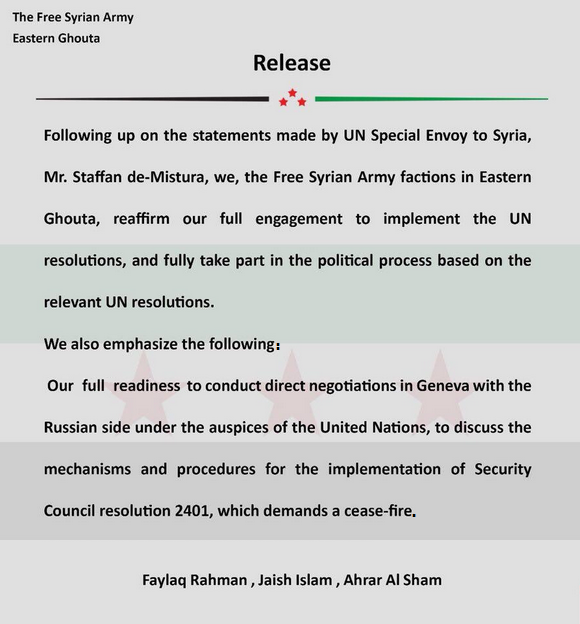 The radicals confirm readiness to conduct negotiations in Geneva with the Russian side under the auspices of the United Nations, to discuss the mechanism and procedures for the implementation of Security Council resolution 2401, which demands a cease-fire. Inside Syria Media Center publishes the transcript of their release below. This article was originally published on ISMC.